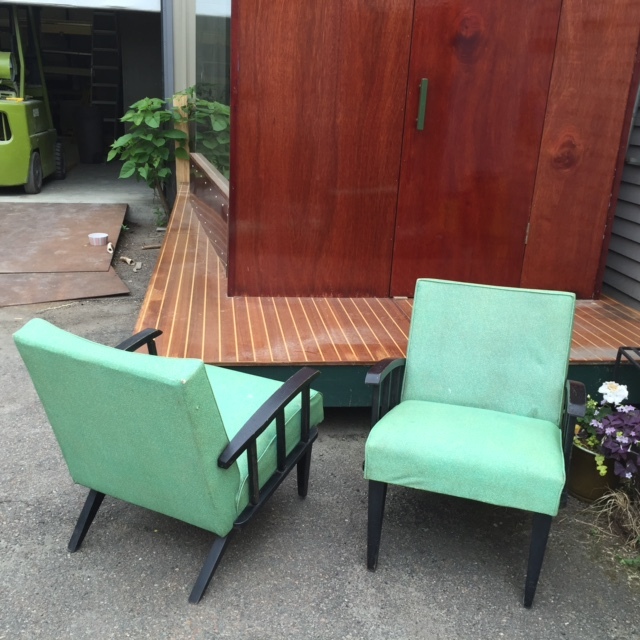 Vintage green vinyl covered easy chairs with black painted wood frames. Vinyl has been cleaned but has areas of wear. Structurally sound. 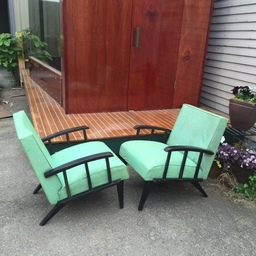 Would be fantastic reupholstered. A great DIY project.